- Designed to improve low and mid-range acceleration at work. - More efficient in transferring the power of your ATV/UTV down to the tires. 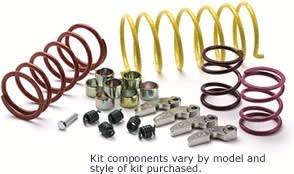 - Helps to decrease belt slippage, which will decrease clutch heat. - Designed for stock motor and stock exhaust. - Some kits available with Severe Duty Belt.